When most people think of outer space, the Space Race to the moon, the International Space Station (ISS), or the latest Martian fantasies of American billionaires come to mind. But what if space is an opportunity for economic development here on Earth, and more to the point, down by here in Wales? It’s not as far-fetched as it sounds. 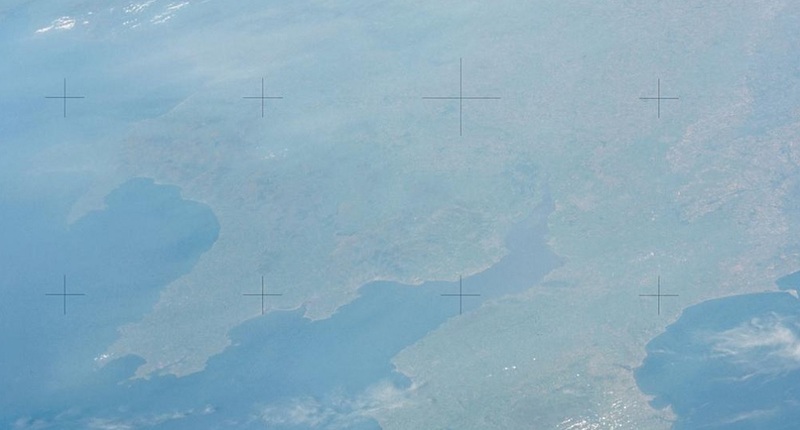 Wales isn’t a stranger to popularised images of space. 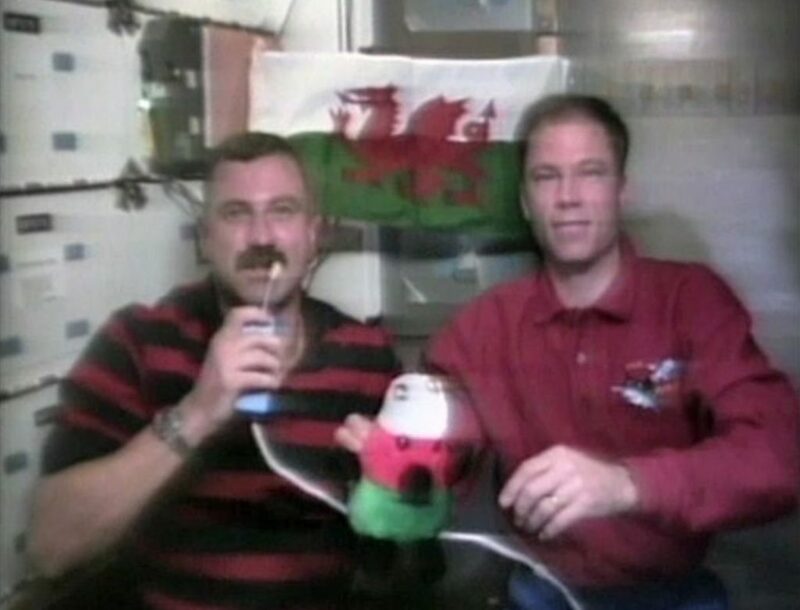 Some readers may remember the Canadian-born astronaut of Welsh descent, Dafydd Williams, waving Y Ddraig Goch on the ISS; or the British astronaut Tim Peake wishing a ‘Dydd Gwyl Dewi hapus’ from there on St David’s Day last year. Some may even remember the launch of NASA’s Voyager probes in 1977, which contained a greeting recorded in Welsh, alongside a few dozen other languages. As Voyager enters interstellar space, a record of Welsh’s existence may outlast the rest of human civilisation. These human adventures in Earth orbit and far-flung robotic missions to deep space certainly capture the popular imagination and scientific headlines – and rightly so. But the everyday wealth and importance of humanity’s Space Age has escaped the attention of people outside the space community. Today, over 1,300 satellites are orbiting around Earth providing essential services such as global wireless communications, navigation, weather and climate monitoring, financial transaction authorisation, infrastructure planning, and cutting-edge precision military capabilities. We all use GPS or sat-nav thanks to the U.S. Air Force making its signals free to use across the globe. We all rely on its signals to authorise every bank card transaction we make. Satellites provide communications to the most remote corners of Earth. Without satellites, our just-in-time political-economy and transport infrastructure could grind to a halt. An entire industry and wealth-creating high technology economy has grown in the last 50 years or so based on the information and services of launching satellites to do a variety of silent and often underappreciated tasks that we have come to rely on without knowing. We are all living in the Space Age without really noticing it. Few people seem to have considered the reality that Britain takes part in a lucrative global space industry, let alone Wales. Wales, as part of Britain and the European Union (for now), has had a booming space industry and a world-leading space economy. The British space economy generated £13.7bn in income in 2014/15, which is 6.5% of the global space economy, and has enjoyed average growth rates in the last 15 years approaching 8% per annum. We are all familiar with complaints about the demise of the UK as a manufacturing economy. But Britain has become a significant hi-technology manufacturing hub, of which space is an unnoticed success story. The British space economy is notable for leading the way in research at universities, building small satellites, satellite component manufacturing, and maritime communications services. British manufacturing isn’t dead. A good deal of it is in space. Space is not just an expensive jolly for the superpowers of the day. Space is a place where lucrative rocket-building, satellite manufacturing contracts, and global information services are won and sold on the global stage. Wales, as part of the UK, already contributes to collective European space launches, research, and services through the European Space Agency (ESA) budget, and reaps rewards through research funding, and manufacturing or service contracts. It seems that in space, no-one can hear the cash registers ping – though that may be changing. Since 2010, the UK Government has set up the UK Space Agency, produced several space growth action plans, a national space policy, and the Welsh Government signed off on a corporate Wales Space Strategy. Although the British space industry is mostly located in South East England (269 space-related sites), London (126), and Scotland (104), Wales is already home to 35 sites and organisations related to space activities, including hi-tech manufacturing, universities, and government sites. According to the UK Space Agency, this generated £58m of income from the space-related companies in Wales in 2014/15. Llanbedr in Gwynedd is still in the running for consideration as the UK’s first spaceport. The UK Government is yet to make a final decision on this. However, its consideration alone reflects the potential of Wales as an attractive place to build a niche space economy. The UK spaceport – Europe’s first – would launch small satellites, or micro-satellites, into low-Earth orbit (100km-2,000km altitude) on polar north-south orbits from aircraft, or even provide short suborbital ‘hops’ into space and back for tourists. Before you think this is fantastical thinking, New Zealand, a remote country of only 4.5m people, recently enjoyed the success of a privately-funded and operated Electron rocket launch. Despite Wales being home to universities that conduct world-leading space science, robotics, and exogeology, or companies that manufacture satellite components and services, there are three significant obstacles to developing a truly Welsh space economy. The first is that the embryonic Welsh space economy is tied into the potential Brexit catastrophe facing the British space sector. The British space economy is made up of Europe-wide companies, with manufacturing and supply chains that cut across national boundaries within the Single Market. Exiting the Single Market and the Customs Union in a hard Brexit with no deal, which is possible, will be a calamity for the hi-tech sector. Additionally, Britain’s ability to tender contracts on manufacturing satellites like the Galileo navigation system will be threatened because only EU members can secure contracts for EU-funded space projects, regardless of membership of ESA. Britain stands to be shut out of the massive investment and funding from the EU in British space manufacturing and research through ESA, especially if there is ‘no deal’ by 2019. The EU’s space industrial policy is quite clear on this. Second, and symptomatic of wider structural economic problems in the UK, the Welsh Government must create and secure the constitutional tools to create a virtuous economic cycle within Wales if we as a nation are to start taking Welsh economic planning and investment seriously. The space sector provides a potential growth area – Brexit aside – as the global and European space market will continue to require more space services in the digital and information-based economy. The income generated from the booming space economy is not directly benefitting the Welsh economy outside of the spending power of the employees of those industries living in Wales. The Welsh Government cannot tax or take a bigger slice of booming economic sectors to reinvest in Wales. Such taxation goes to the central pot in Westminster, and is redistributed in the oft-criticised Barnett formula. As such, the Welsh Government has little incentive to directly fund or attract more companies beyond gaining indirect economic returns from the employment such companies would provide. Third, Welsh education must equip the youngest with the tools and skills to be able to tap into the lucrative opportunities provided by the modern global economy. The satellite-building, component manufacture, and space science and materials research are significant revenue streams, and Wales already has a good track record with the presence of universities, hi-tech firms, and lower land and living costs for competitive corporate costing. If Wales – even within a more constitutionally decentralised UK – plays its cards right, it has the potential to ensure that China does not have a monopoly on a red dragon in space. With space being a growth sector, there is a real chance to develop high-salary and a high-skill manufacturing and data-based economy in Wales that is diversified from agriculture, tourism, and natural resources. Indeed, agriculture, tourism, and resource economies have been transformed by satellite services, which is even more reason to consider Welsh needs in these sectors and how space can transform or enhance them specific to our needs. But the Welsh electorate, government, civil society, and other interested parties must create the conditions for the space sector to flourish in Wales, for Wales. Space is an environment where countries both large and small, rich and poor, are exploiting and developing for their own needs and profits through a whole range of activities and services. We should not curb our ambitions because of our size or means. Tapping into the wealth that our infrastructure in outer space creates is not the most difficult challenge to creating a Welsh space economy – creating the right economic, educational, and political structures down on Earth is the real hurdle. This article contains the views of the author alone.